Our first stream clean up of the year was held on February 2. Fortunately it was a beautiful sunny day as compared to the wintry, rainy weather we were having. 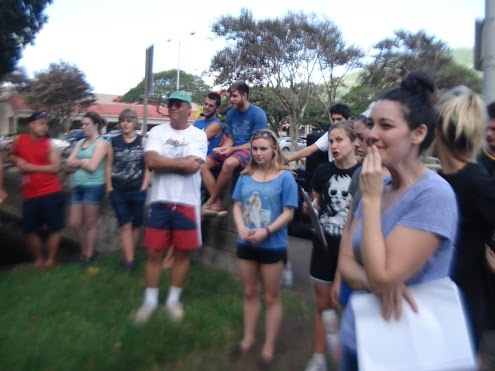 Aside from the half a dozen Malama Manoa member volunteers and another half dozen from the neighborhood who responded to our notice signs in the valley, we had a youth group of about 50 join us also. They were from the organization , Youth With A Mission. 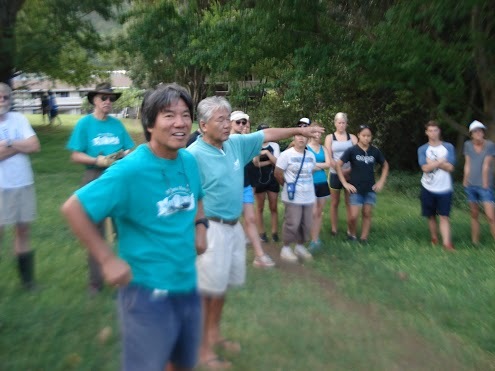 Due to the large number, half of the group went upstream along Malama’s adopted section from the Woodlawn Bridge to the Kahaloa Bridge and also along the makai ditch of Manoa District Park which feeds directly into the stream. The other half comprised of the more adventurous youths went downstream from the Woodlawn Bridge to their compound by Pamoa Road. The amount of trash gathered that day was perhaps the most we ever collected. 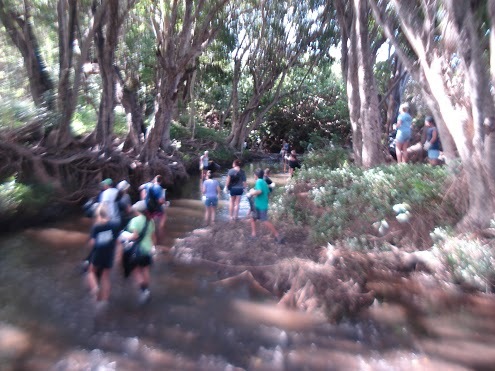 Almost more valuable than cleaning a longer stretch of Manoa stream was the familiarization with our long time, but unfamiliar neighbors. Many of us never knew what this youth group was all about, but through their participation, we learned about them. They are a Christian based youth group made of young people from around the world that go out into communities all over the island to help different communities with different projects. They have been our neighbors for 30 years and it was about time that we became acquainted with them. The young people are wonderful and energetic citizens that add to our community in such a positive way. After familiarizing themselves with our stream cleaning project, maybe they may want to adopt their own section under the City and County’s Adopt a Stream program from the Woodlawn Bridge downstream to their compound.